Finding a professional, affordable roofing contractor to repair or replace the roof of your home doesn’t have to be a scary process. Leave worries behind by only considering roof companies that prove trusted marks of quality. An accredited, A+ rated business by the Dallas Better Business Bureau, a locally and nationally respected organization we joined in 2000. We are proud to say we’ve never had an unresolved complaint lodged against us. 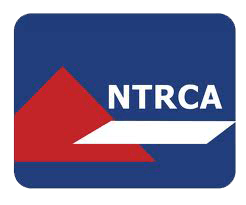 A member of North Texas Roofing Contractors Association (NTRCA), the premier resource for roofing contractors and associates working and doing business in North Texas. Certified roofing contractor #184 of the Roofing Contractors Association of Texas (RCAT), a statewide trade association of roofing and waterproofing contractors. This group of professionals collectively represents the voice of the roofing and waterproofing industry in Texas. A CertainTeed Master Shingle Applicator™. This program provides education for all aspects of CertainTeed shingle installation, covering topics such as workmanship, roof systems, estimating, flashing, ventilation and product installation. Recognized by Angie’s List since 2004 and a Super Service Award recipient every year since 2008! We believe that we have found some of the best contractors in each local market and are extremely confident that you will enjoy your experience with them.